I came across a video homage to director Stanley Kubrick’s frequent use of one-point perspective in his films (where there is a single vanishing point and all lines converge to that point). You can watch it here. The video reminded me of how some of my mesh generation brothers and sisters here at Pointwise give me quite a bit of grief for doing my meshing using a perspective view type. They all prefer to use orthonormal so that the mesh is drawn without a vanishing point. 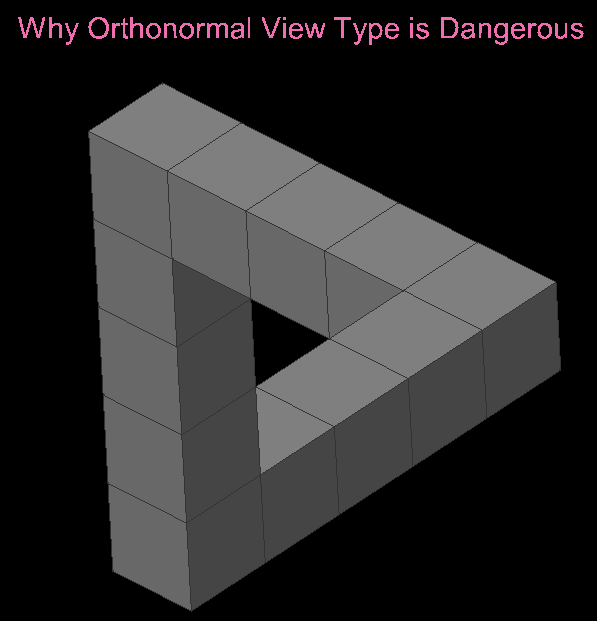 But orthonormal is dangerous because it leads to images like the one below (click for larger version). I don’t know about you, but I live in a 3D world where perspective is real and depth of field can be discerned by the vanishing point. Because of that, I like to mesh in a 3D world too. After all, that image above is just as disturbing as the effects Kubrick achieves with single-point perspective. How about you? Do you prefer to work in perspective or orthonormal? If you email me at pointwise@pointwise.com, I’ll send you the Pointwise project file (.pw) for the grid shown above so you can see for yourself the danger of orthonormal. 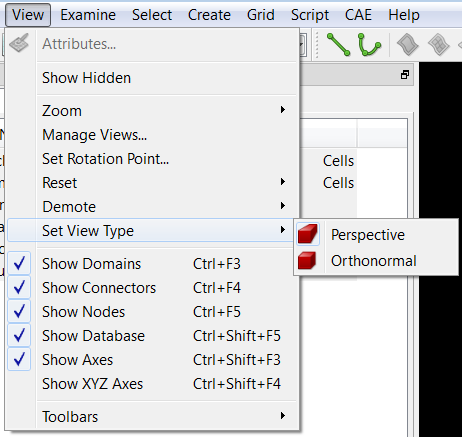 In the meantime, know how to change your view type from orthonormal to perspective in the View menu. If you work with Cartesian aligned meshes a lot you prefer to use orthonormal view. I don’t want my points to vanish! Disappearing points aside, there are some times when orthonormal comes in handy. But most of the time, and especially when saving a picture, perspective is my preference.